A Roman retirement for Bishop Hurkmans? Strong rumours appeared yesterday that Bishop Antoon Hurkmans, retiring from the Diocese of ‘s-Hertogenbosch, will not be returning to his hometown of Someren, as he previously announced. Instead, his retirement will be spent in the eternal city, Rome, where he will become the new rector of the Church of the Frisians. The church of Saints Michael and Magnus, as it is officially known, is a 12th century church adjacent to Saint Peter’s Square. While just outside the borders of Vatican City, it is an extraterritorial possession of that country. It was restored as the national church of the Dutch in Rome in 1989, largely because of efforts by the late Msgr. Tiny Muskens, later bishop of Breda. 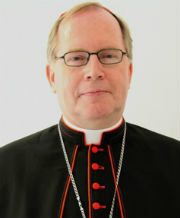 Bishop Hurkmans will succeed Dominican Father Tiemen Brouwer, who has been responsible for the church since 2007. The presence of Frisian Christians in Rome can be traced back to the ninth century. All inhabitants of the coastal areas (reaching quite far inland at times) of what is now the Netherlands, northern Germany and southwestern Denmark were considered Frisian at that time. The current church was built in 1141, but only 5 years later Pope Eugene III took the perpetual right of the Frisians to use the church away from them. In 1910, the later Cardinal Jan de Jong, who was then studying in Rome, made a pilgrimage to the church and found that all knowledge of the Frisian history of the church seemed forgotten. 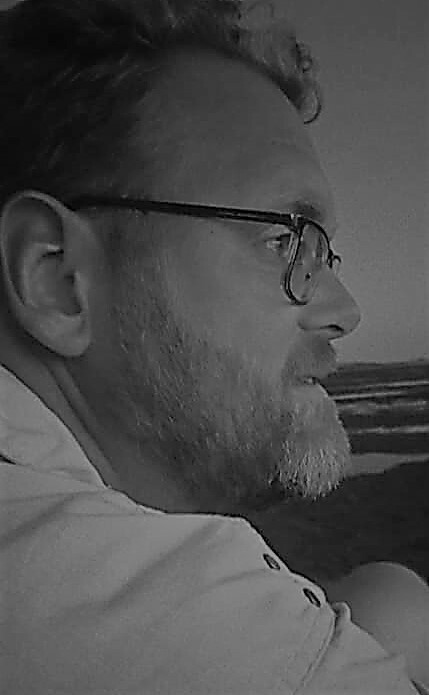 In 1989, the head of the Dutch College, Msgr. Muskens, succeeded in making the church a Dutch centre in Rome. In 2005 this was made official, and the church became a parish church in its own right. 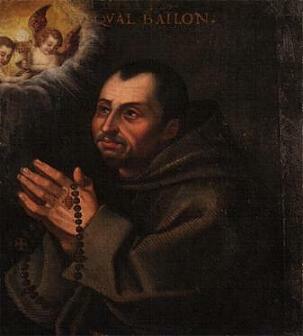 EDIT: Bishop Hurkmans was put forward as rector of the Church of the Frisians by the Dutch Bishops’ Conference. This suggestion now lies with the Vicariate of Rome to accept or refuse. The news has not been officially confirmed yet, so treat it as as rumour for now. 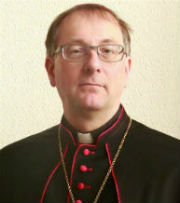 Chances are that we will get said confirmation on or shortly before 14 May, when Bishop Hurkman’s successor in ‘s-Hertogenbosch, Msgr. Gerard de Korte, is installed. Posted on April 14, 2016 April 14, 2016 Categories Catholic Church in the NetherlandsTags bishop antoon hurkmans, bishop gerard de korte, bishop tiny muskens, bishops, church of the frisians, diocese of 's hertogenbosch, diocese of rome, father tiemen brouwer, history, johannes cardinal de jong, pope eugene iii1 Comment on A Roman retirement for Bishop Hurkmans? Yesterday, 20 Roman couples were married in St. Peter’s Basilica by Pope Francis. This is pretty rare for Popes to do for the simple reason of their many other duties. Pope Benedict XVI never did it, and Pope St. John Paul II only got around to it once over the 27 years of his pontificate. But as he is the bishop of the Diocese of Rome, witnessing the marriage of some of the faithful of his diocese is a wonderful opportunity to be near to his closest flock: the Romans themselves. The couples were from all walks of life and a broad range in age, and all had their own stories, as the Pope hinted at in his homily: “The path is not always a smooth one, free of disagreements, otherwise it would not be human. It is a demanding journey, at times difficult, and at times turbulent, but such is life!” Rare are the couples whose story is the stereotypical romantic one: they meet, fall in love, get married, have children and live happily ever after. I think it is safe to assume that none of the twenty couples married yesterday have had such smooth sailing. And that is what inspired many headlines. “Pope marries sinners,” we read. “Francis overthrows tradition by marrying cohabitating couples!” and more along such lines. The essence of all this was that Pope Francis, they said, in contrast to Catholic teaching and the practice of the Church for years, married people who were living in sin. But was that really true? The simple answer is no. In reports about yesterday’s ceremony we read that one of the grooms has had a previous married nullified and that a bride already had a child. Others were apparently already living together for a long time before marrying. While it is objectively so that the Church has its concern about children being born outside marriage and cohabitation while not married, these in themselves have never been reason for the Church refusing to marry couples. In fact, it is simply so that the Church gladly welcomes any couple who wants to receive the sacrament of marriage. Marriage is a sacrament that includes both rights and duties. To oneself, to one’s partner, to God and to the community. It is good for the future husband and wife to be well aware of these, be willing to accept them and know how to include them in their lives together. That is a lifelong process, but it starts before marriage begins. From the outside we may notice many irregularities – a child outside of marriage, a previous marriage – but we should not jump to conclusions about these 20 Roman couples. All we know is that these irregularities are now regularised, and that is reason for joy. There is certainly no reason to see sins and new developments where there are none. Pope Francis did not do anything that could not be done before, and nothing that priests across the world don’t do regular (although they would rarely marry forty people in one go). What is remarkable, however, is that it happened. That 20 couples said yes to each other, promised to stand together in good and bad times and let their love bear fruit and new life in all sorts of ways. That’s the true headline. Although it was not his last day on the Chair of Peter, Pope Benedict received the best farewell we could have given him during his last general audience, yesterday morning. And, in turn, it was the best sendoff he could have given us. Secular media reluctantly reported “several thousand” faithful gathered in St. Peter’s Square, but the official numbers were 150,000, which does not include the pilgrims who were forced to remain in the surrounding streets. In total, the number of faithful who wanted a last glimpse of the Holy Father may have been as high as 400,000. Today, we are saying our final goodbyes, but it really isn’t a farewell. Although we may not see or even be aware of it, in the gardens of Vatican City there will be a loving heart, continuously praying for all of us. Tomorrow, the frenzy of conclave preparation gets underway, but today, let’s remember, let’s say our goodbyes and let’s pray. Shaking hands with Cardinal Tarcisio Bertone, after the latter had given an emotional thank you message on behalf of the Curia. And so, the last public liturgy of Pope Benedict XVI ends, as he is helped off the steps of the sanctuary on Ash Wednesday. Cardinal Agostino Vallini welcomes the Pope, father and teacher. Professor Pope. Benedict in his element, speaking to the priests of Rome about the Second Vatican Council, spontaneously and without prepared notes.